As a conservative who served as governor for a state that shares the values of the very Oklahomans you represent, I’m writing to encourage you to resist any attempt to delay implementation of the improved standards adopted by your State Board of Education in 2010. Many of you voted in favor of these standards in 2010. You were right to stand for these improved standards then and you are right to stand for these improved standards still today. And it’s disturbing to me there have been criticisms of these standards directed by other conservatives including the RNC. The truth of the matter is, these criticisms are short-sighted. Like many of you, I’ve heard the argument these standards “threaten local control” of what’s being taught in Oklahoma classrooms. Speaking from one conservative to another, let me assure you this simply is not true. States and local school districts will determine how they want to teach kids, what curriculum to use, and which textbooks to use." There is Nothing Like Your Own Words! 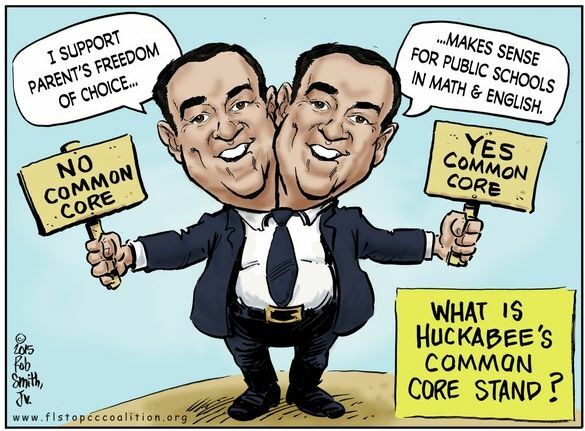 M. Huckabee Dumps Common Core - Picks A Run For President Instead! Dec 2013 - Fox News Channel host and former Arkansas Gov. 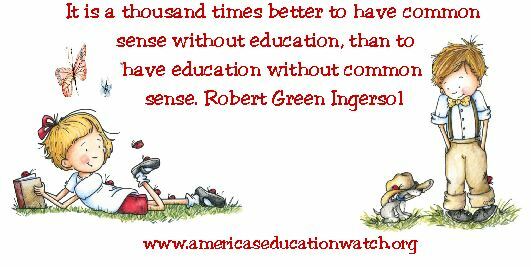 Mike Huckabee (R) is considering a 2016 presidential bid, and one of the first things he has done to test the waters for his candidacy is to abandon the Common Core academic standards, a sign that the new education program is fast becoming a toxic issue for political candidates. (NOTE) you all should remember that all Governors who ran in the 2016 election supported Common Core BEFORE signing on! During his FNC show over the weekend, however, Huckabee made a special note of letting viewers know he was no longer supporting the Common Core standards for which he and former Florida Gov. Jeb Bush (R) have been avid campaigners. AND THEN A LIAR, IS A LIAR, IS A LIAR!